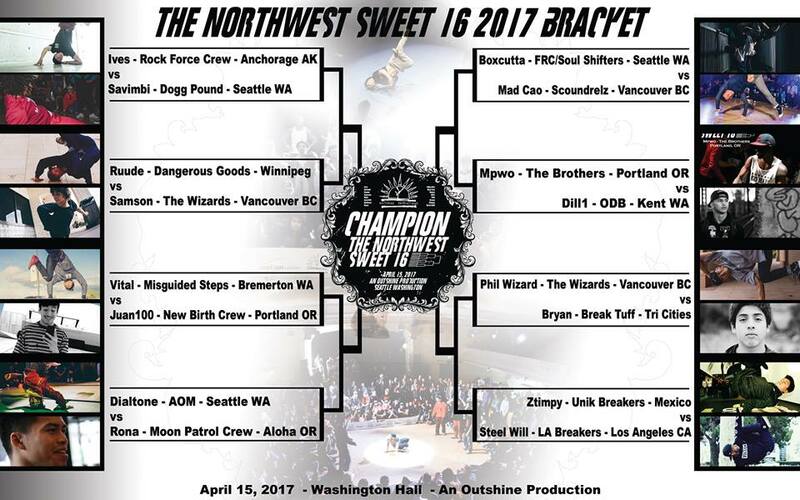 Here we have it folks, the brackets for the 10th anniversary of the Northwest Sweet, bout to be crazy! UPDATE: Some people might have been confused by a typo we had. Doors open for public at 6pm, and the finals start at 7pm. Also traffic will be bad, so please plan accordingly. ONLINE TICKET SALES ARE NOW CLOSED, TICKETS WILL STILL BE AVAILABLE TOMORROW AT THE DOOR.